Sure to become another classic, this Beergarita recipe is a fun way to have a beer, and to toast – or “Parrot” – a classic mixed drink. In Spanish it might be called a Cerveza Preparada – prepared beer. We’ll just call it a “Beergarita”. BTW, the Mexican lager is based on the recipes that Austrian and German brewers produced after arriving in Mexico in the 19th century with other European immigrants. Pour ice in a pitcher. Add tequila, orange juice and frozen limeaid. Pour beer over ice – very slowly. It will foam up so a slow pour is essential. Rub a lime wedge around the rim of the glasses. Dip glasses upside down into the salt plate to coat the rim. 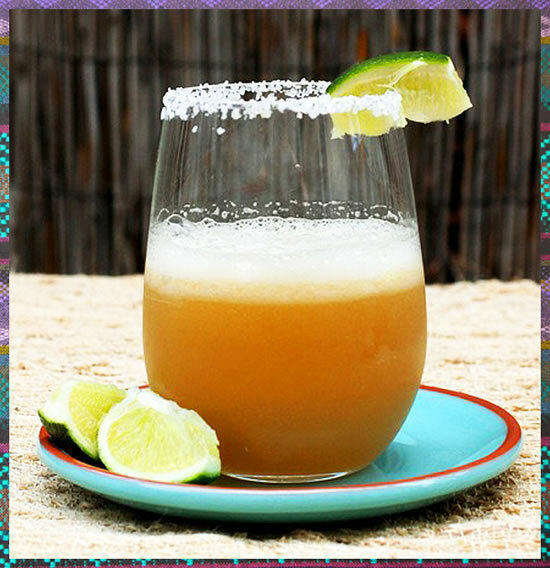 Enjoy your Beergarita Recipe plus – there are many entertaining and informative articles that you can receive free with your subscription of Black Bucket Brew e-Zine. Subscribe Now for your free emailed copy!